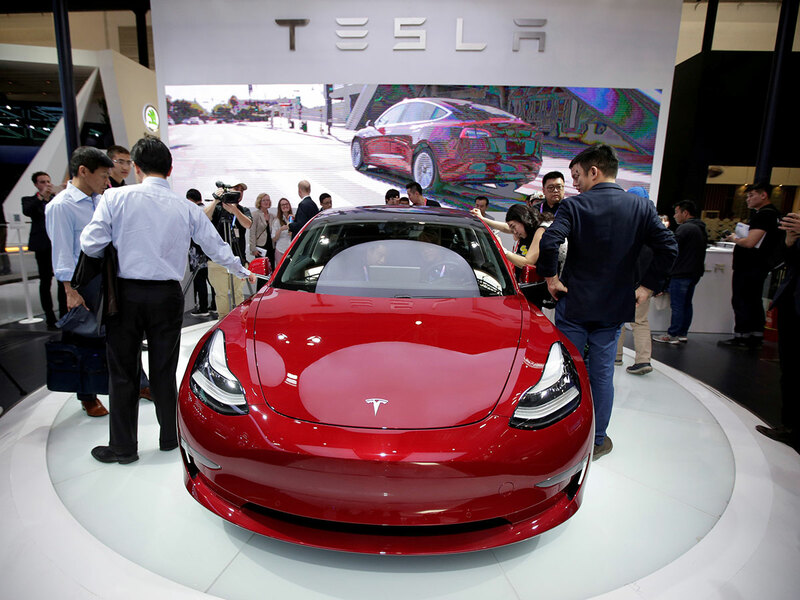 Oslo: Just weeks after Tesla Inc. started rolling out its Model 3 in Europe, the electric-car maker has beaten the monthly sales record in its key Norwegian market by a wide margin. As many as 3,593 Model 3s have been registered so far in March, according to independent website Teslastats.no. Even with a few days still left in the month, that’s 65 per cent more than a previous high set in March 2018 by the Nissan Leaf, Norway’s most sold car last year. Teslas are flowing into Norway, the California-based company’s fourth-biggest market worldwide, as it steps up deliveries of the Model 3, a car designed to be more affordable than previous models. The roll-out will be a test for Chief Executive Officer Elon Musk as he tries to make the company profitable and turn the page on a bumpy 2018. Norway received what was likely its biggest shipment of Teslas earlier this month. Generous incentives such as tax breaks and free or discounted road tolls have made Norway the world’s biggest market per capita for emission-free cars, turning the country of 5.3 million into a focal point for Tesla and other electric-car makers. It was Tesla’s fourth biggest market by revenue in 2018, behind the US, China and the Netherlands. Tesla has sold 3,964 cars of all models in Norway so far this month, according to Teslastats.no, which bases its figures on updates from the Norwegian Public Roads Administration. That beat Volkswagen AG’s record of 3,017 set in April 2016, according to the Norwegian Road Federation, an independent organisation that compiles data going back to 1992 and lobbies authorities on road policy. Volkswagen still holds the annual sales record by model and manufacturer. It sold 16,388 Golfs in 2015 and 26,574 cars in total in 2016, the federation’s head of statistics, Pal Bruhn, said in an email.